Cambodia's capital retains much of its former colonial charm, with old houses along tree-lined boulevards. Although many people simply stop off in Phnom Penh on their way to Siem Reap and Angkor Wat, or even bypass it entirely for a direct flight to Angkor, to do so is to miss out on something special. Most of Phnom Penh's major sights are along the pleasant Tonle Riverside. In a large traffic circle north of the city center is Wat Phnom, which sits on a hill that gave the city its name. The temple had its beginnings in the fourteenth century, but has been rebuilt so many times that nothing remains of the original shrine. 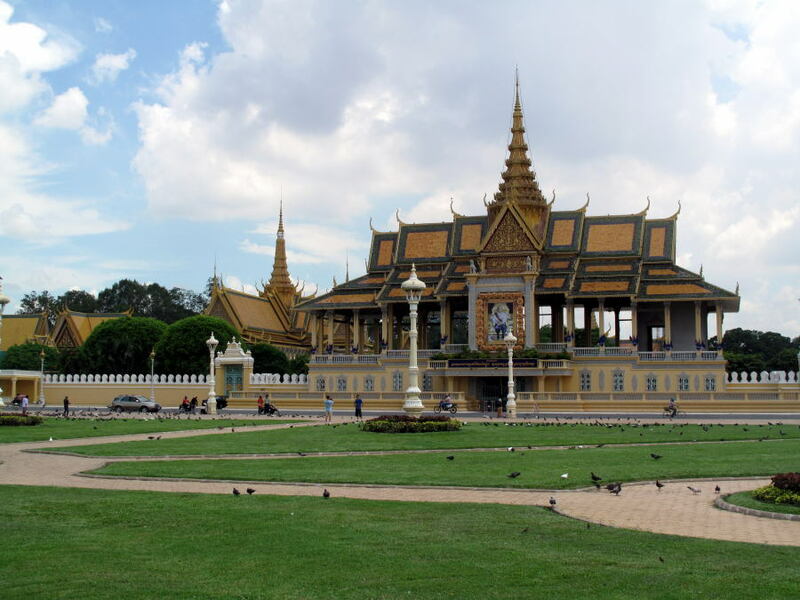 At the center of the city near the river is the Royal Palace, which also holds the magnificent Silver Pagoda. Next to the Royal Palace is the beautiful National Museum. A bit south of the Palace is the Independence Monument.